For HTC One M7 smartphone that was launched in 2013 a custom ROM has been released, CyanogenMod Android 5.0.2 Lillipop CM12. The size of it is just 248 MB. Before proceeding with the installation first read the article because this is an experimental CM12 and in the future more other issues will be fixed. 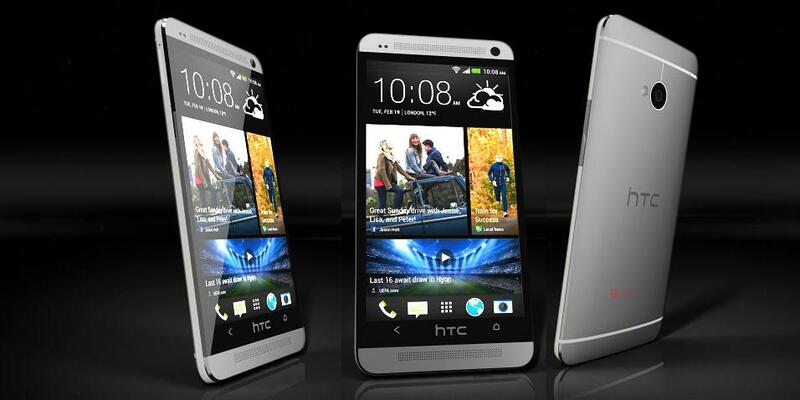 This is just for HTC One M7 device model GSM. You’ll find the smartphone model here: Settings – About Phone – Model Number. Make sure that you have installed properly on your desktop PC the USB drivers. You must have a rooted device. Install Clockwork Mod Recovery on your device and backup all your data because when you start installing the custom ROM all your memory will be wiped. This is an unofficial update and because of that you will lose your warranty if in the future the company will provide this device with an official update. It is better that this procedure to be performed by a knowledgeable person in Android devices, because if the instruction are not been followed step by step you may brick your device and we will not be held responsible if something will happen to your device. Please proceed with caution. Download the latest custom ROM build CyanogenMod Unofficial Android 5.0.2 Lollipop CM12 and Google Apps into your desktop PC. Using the USB cable, connect your HTC One M7 (GSM) device to your desktop PC. Place the downloaded files to the device SD memory card. Paste the .zip file in the SD card root. Place in the android-sdk-windowsplatform-tools directory the boot.img file. Turn of your device and disconnect it from your PC. Turn on your device by pressing and holding at the same time Volume Down and Power buttons. You have now entered in the Bootloader Mode. Next go to ‘android-sdk-windowsplatform-tools’ directory on your PC, open ‘Command Prompt’ and type here “fastboot flash boot boot.img” and click enter (Shift+right click to open Command Prompt). Next type “fastboot reboot” and hit enter. Some instruction will appear on the screen, follow them. Now select “Bootloader” option and you will enter in Recovery Mode. In the recovery mode choose “wipe data/factory reset” to clear your memory. To navigate in the recovery mode use the volume keys and to select options the power button. Wipe the cache memory by choosing the option “wipe cache partition”. Go to ClockworkMod recovery, select advanced and press wipe dalvik cache. Go to the main recovery screen and press install .zip from SD card. Press “choose zip from sdcard” and go to the file “Android 5.0.2 Lollipop ROM.zip” and press install. The same procedure you will follow for Google Apps. Go back to the recovery menu and select “Reboot system now”. The reboot will take several minutes but is quite normal so don’t panic. To confirm the Android 5.0.2 Lollipop custom ROM installation go to “Settings – About Phone”.